Dang was really hoping for a joystick. Everything else is great though. I’ll upgrade from my a6500 based on the fully articulated screen alone. However I do hope they add 4K 60fps video without a recording limit. Also, if they do have dual slots, I wish they’d done both with UHS-II as only one slot limits its usefulness a bit. The rest looks good though. Hear! Hear! Thank you, GenjiChu! I agree with you a 100%. That old flip-up screen has to go! Useless for vlogging. 4K 60fps is available on an inexpensive Yi 4K action cam already. Dual UHS-II the only way to go. I would like to add a weeeee bit more megapixels in the spec for pixel peepers like me. I don’t know why Sony hates side flip screens so much. They’re perfect for everything, even on a tripod. One poster on here said I was dreaming hoping for 4K60, but even my iPhone 8 has 4K60 so there’s no excuse. The GH5 has dual UHS-II slots so you get true redundancy for everything. Crippling one slot made no sense at all. Basically I’m hoping for a Sony version of the GH5 which is smaller and has the APS-C sensor. We’ll find out soon! I hate side flip screens, it is awful for macro, left hand lens control and AF touch control. The only tilt screens are also more discreet in such compact cameras as the 6000 series. I don´t agre you with the GH5, it is a big and loud camera, and the lenses are small because of the 4/3 format. The a6500 belongs to another line of cameras. The Yi 4K+ has a tiny sensor. Implementing 4K60 on a large APS-C sensor while keeping under the thermal envelope requires 20x more engineers, time, and investment than implementing 4K60 fps on a small sensor like the Yi uses. Sony can’t even allow their 1″ sensor cameras to record 4K for more than 5 minutes because they have not spent enough billions of dollars on improving the sensor’s thermal performance. @Brzolka: Hmmm… Good point. My a6500 does have a thermal problem when recording for too long, but it is a far improvement from the overheat issues I had with the NEX-7 at 1080p. You mentioned that the Sony 1″ sensor has a thermal issue. I haven’t heard of such a thing for the RX10 series. Maybe the RX100?? I’d rather see an 8 or 16 MP sensor with further improved dynamic range and better rolling shutter. As this is a photo camera in the first place, 16 MP would be best for everyone. card slot on the side would be convenient, now you need to take it of the tripod to check files. 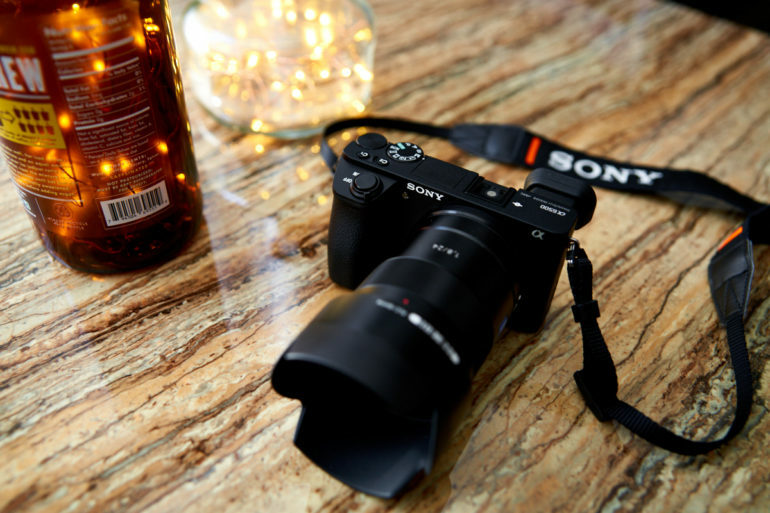 What sony needs is a 16-55 f2.8 lens. There is no equivalent of a 24-70mm f2.8 workshorse for the apsc. That’s just sad. Even olympus has it’s mft version. It needs to be f/1.8 if it’s going to be an equivalent to the FF models. But I agree, the Sony lens lineup is missing that (and qualitative zoom lenses in general – most of them are absolute junk). Isn’t it more likely they’ll update the A6000 before they release an A6500 replacement? The A6300 and A6500 aren’t replacements of each other, they’re contemporary models with varying specifications, with corresponding bumps in price. Adding a headphone jack would be nice. Next Next post: Free $50 Gift Card when Buy Sony a6500 & a6300 & a6000 Bundles at B&H Photo Video !